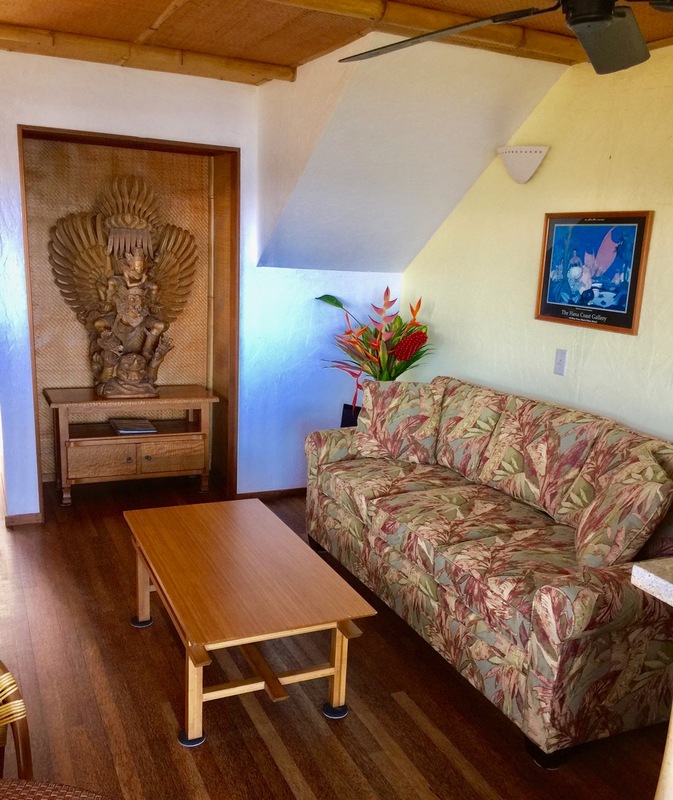 The two story Nai‘a (Dolphin) Suite includes a first floor living room with a fold-out queen size sofa couch, kitchen, dining area and an oceanfront deck with a private jacuzzi. Check our availability calendar and make a reservation request below. State excise and room tax in the amount of 14.42% will be added to room rates. A 50% (100% for single night reservations when allowed) deposit is required when a reservation is made 30 days or less prior to arrival. Reservations made more than 30 days in advance will be held without a deposit until 30 days prior to arrival at which time a 50% deposit will automatically be charged to your card. The remaining balance is due upon check-in. Refunds for cancellations made less than 30 days prior to arrival will be issued only if we are able to rebook the cancelled space to another party. To make a reservation request, please check the availability calendar and select the dates you wish to book, then complete and submit the reservation request form. 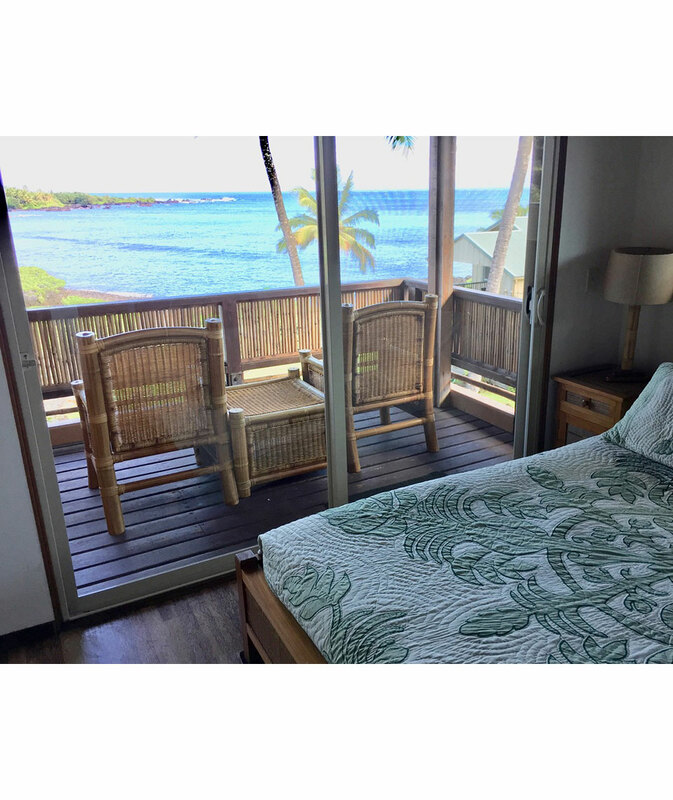 Include your check-in and check-out dates (in other words, if you wish to book a reservation for 2 nights, you will select 3 days including your checkout day, and you can choose a checkout day that is already reserved). Mobile device users please select your desired dates, and then click on the box that pops up saying "1 available $285" to autofill the check-in/check-out dates and total rate. 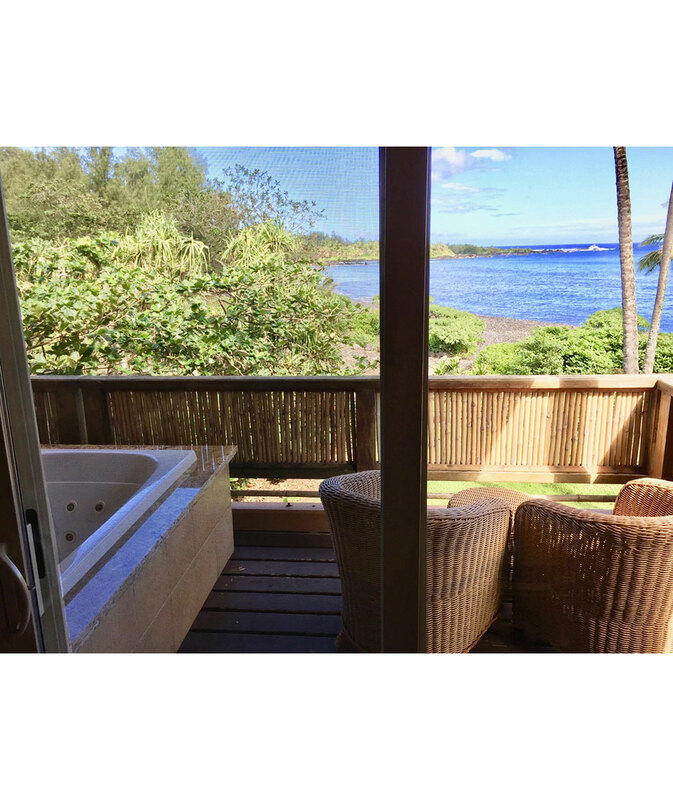 Two-night minimum: single night reservations accepted ONLY when made less than a week in advance or when filling between two existing reservations. Credit card information is optional to make a reservation inquiry, but reservations will be confirmed only once credit card information is provided. We accept Visa, MasterCard and Discovery cards only. This is a secure form, and your information will be encrypted and stored in a secure server environment.